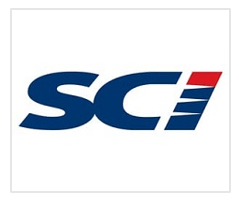 SCI was undergoing a major transformation of its business and had developed a strategy which, among other things, required a leading edge Information Technology capability to drive and support this direction. At that time, SCI was also undergoing a transition state with respect to its IT function. A vacancy existed at the CIO level and SCI’s executive team required an interim CIO to lead and manage the IT function while also conducting an assessment of the entire IT operation including the people, processes and technologies (applications, data, infrastructure, communications, etc.) in order to determine the best path forward. SCI engaged Litcom to lead the IT function and to align and position the IT department such that it supported the new business strategy and direction. Supported the CIO search process. SCI Group is the best choice for outsourced supply chain services in Canada. We offer our clients expertise in business-to-consumer, business-to-business and field service logistics while delivering innovation, intelligence and integration to supply chains across Canada. Through our operating entities SCI Logistics, Progistix and First Team Transport, we help companies reduce cost and improve service through the design, implementation and operation of more efficient supply chain solutions.